A winning game of luck and letters! Match ABC letters to phonic sounds and pictures as you play this fun-filled literacy game. 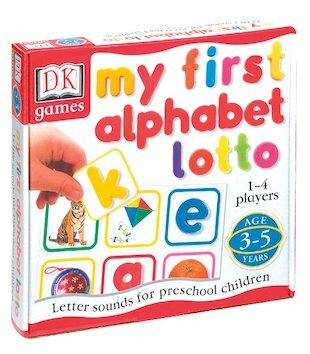 Providing hours of stimulating play, this exciting game helps young children to read printed letters, match them to colourful picture objects and learn their phonic letter sounds, which are called out during play. Suitable for playing alone or in a group of friends or family, the fast-paced game will also improve reaction times and hand-eye coordination. See if luck is on your side as you race to win the letter lotto! Box contains 4 durable game boards, 26 easy-read letter cards and instructions.